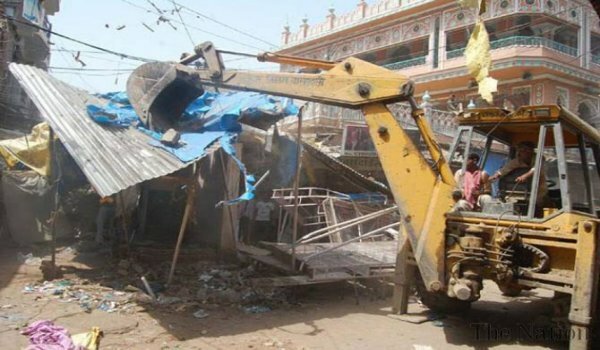 Lahore – District Administration continued its anti-encroachment drive yesterday as well. During the operation, District Administration remained successful in recovering government’s land of worth Rs. 1.5 billion. Moreover, City District Government and Samanabad Municipal Administration conducted a combined operation on Zel Dar Road, during which various encroachments were demolished. However, during this drive, encroachments of the market of former Provincial Assembly member were ignored.